Enjoy the comfort of a home away from home in Estes Park Colorado Vacation Rentals, offering great value for family or group travel. Estes Park Colorado Home Rentals come equipped with modern appliances and amenities and are attractively decorated and furnished. Discover the ideal vacation home in Rocky Mountain National Park. Lakeside home rentals and motel on Colorado's largest natural lake, Grand Lake. 2 lakeside condos walking distance to shops & restaurants. Open year-round! 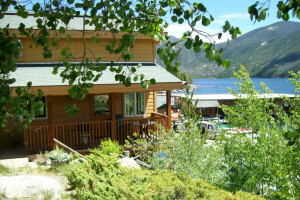 Here you'll find riverfront or mountain view vacation rentals giving you the best of the Colorado Rockies. A wide selection of homes, condos, cabins, more. This elegant vacation home overlooks Mary's Lake and provides you with incredible views of the Rockies. Enjoy a full kitchen, cable TV and free WiFi. Find an enchanting getaway rental here from a wide selection. Choose among luxury condos, mountain cabins or elegant vacation homes. The ideal Rocky Mountain lodging.